This beautiful skirt and fashion top is tailored to give you a polished look. The long sleeve fashion top/jacket features a long robe to tie, it requires you to wear an inner inside(camisole or singlet), the skirt has side slit for proper fitting. 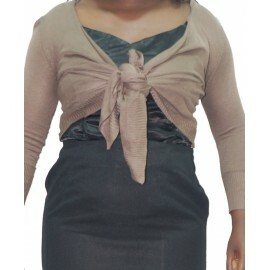 Try this beautiful skirt and fashion top to any special occasion. This Silver Sequin Dip Hem Slit Top is proudly sponsored by an individual who believes in the vun4free vision and is willing to support!..